Ranjish.com is an Urdu poetry website for shayari lovers across the world. We are providing quality Urdu Poetry for literature lovers since 2008. 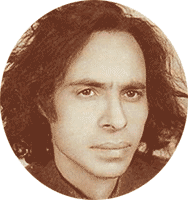 Dil se ik yaad bhula di gayi hai..
Yuun bhi bhook miTa sakta hai..
Jeene ko kherani paida karta hoon..
Another belief is that a vast majority of Jaun Elia's poetry remained unpublished and was lost during his time of death. 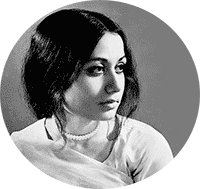 Known for his famous ghazals "insha jee utho" and "kal chaudhvin ki raat thi"
Parveen Shakir was a legendary female poet who started her professional career in her childhood. Her first book was “Khushbu”. 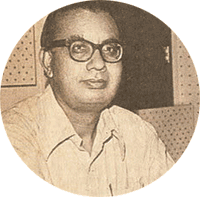 Jigar Moradabadi was mentor to a famous urdu poet and songwriter Majrooh Sultanpuri. Aur phir umar bhar na jaye kahin..
to receive daily urdu poetry updates you can join our shayari group. Please send a whatsapp message to +923315803783 to join our group. This is the kind of Shayari we need when the feeling of sadness and hopelessness gets stronger. Get your dose of Sad poetry right here. Ever felt like using Shayari to express yourself but not those Ghazals are way too long ? Have a look at our collection of ever-lasting Shers. Separation is where all the sorrows and disappointments begin. This Separation and Judayi Poetry will help you express your feelings in right way. One sided love can be very cruel at times. Whenever you feel you are not being loved the way you love, this is the kind of Shayari you need. Love is in the air right ? Read and enjoy our huge collection of Romantic Poetry and express your love to your loved ones. There are lots of Urdu poets who write Humorous poetry. These awesome funny shayaris are the right way for the literature lovers to have a laugh. Deception is a cruel thing to get in a relationship. We know it hurts real bad to be at the receiving end. This collection of Dhoka Poetry will comfort you. Although all of the poetry collection on this website can be forwaded to your Phone, but this collection of SMS Poetry is specially intended to be sent as SMS. We have been online since 2008, making us one of the first few Literature and Urdu poetry websites who took the responsibility of preserving rich Urdu literature on the internet to make sure next generations do not miss out on this fabulous language and its cultures. Although we are only a couple of people who take time out of daily lives to manage this fantastic urdu poetry website but We have never compromised on the quality of what we publish on this website. We hope you will enjoy Shayari and your stay here. Poetry on this website is taken from various sources. Around five thousand Ghazals, two thousand Nazams and almost 8 thousand Shers have been uploaded for our readers to enjoy and fulfill their literary cravings. All this huge material is verified by our editors to make sure actual poets have been credited for their work of art, no matter how old the poetry is. Besides all this huge collection of Poetry and Shayari, we have a database of around 500 poets along with their biography. We continue to add more of their work on our website. Recently, we have started to provide poetry written in both Roman and Urdu language. This will help those who are interested in reading Urdu poetry but are not able to read Urdu script. 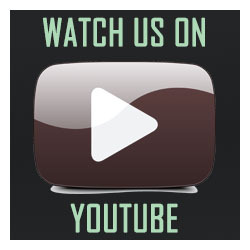 All of our image and video art is added everyday which keeps our website not only fresh, but also one of the few poetry websites who produce their content on their own. This has helped us gaining huge popularity in the literary societies all around the world.